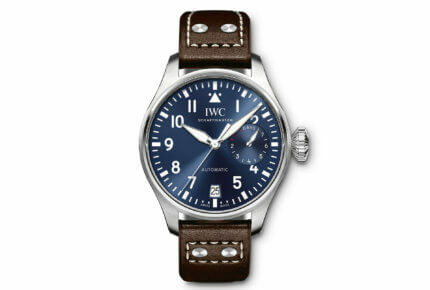 From the very first Special Pilot’s Watch in 1936 right up to today, IWC has built a rich collection of pilot’s watches. The flight plan couldn’t have been clearer: legible, robust and precise! An icon among IWC’s collections since the mid-1930s, this long line of watches developed alongside aviation, inspired by pilots’ need for precision and all-important legibility. Wristwatches were still in their early days, and flight still a vast and unexplored domain, nurtured by dreams of adventure and the ambition to develop the means to bring them to fruition. 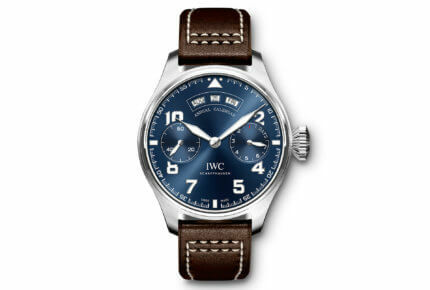 IWC would be part of this epic tale, rising to prominence as a manufacturer of watches designed specifically for pilots – beginning in 1936 with the Special Pilot’s Watch, the first in a long series which, for more than 80 years, has formed one of the pillars of the brand. The idea of developing a pilot’s watch was put to Ernst Jakob Homberger, then director of the Schaffhausen Manufacture, by his sons, Hans Ernst and Rudolf, who were both flight enthusiasts. 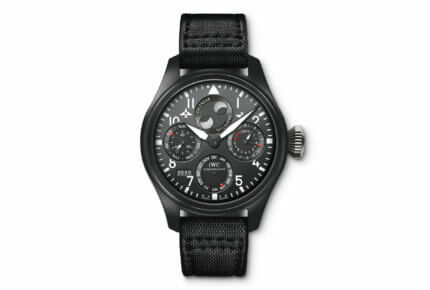 The first of its kind at IWC, the Special Pilot’s Watch stood out for its highly legible dial, whose large, luminescent Arabic numerals were swept by luminescent hands. An arrow marker on the rotating bezel could be used to register takeoff times. By way of a movement, IWC’s first pilot’s watch housed the manual-wind Calibre 83 which featured an anti-magnetic escapement. 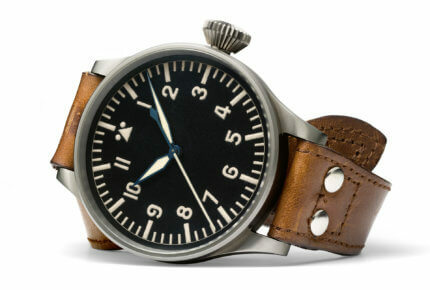 Developed to withstand the harsh conditions which pilots of the day had to endure in the cockpit, this Special Pilot’s Watch proved particularly resistant to the cold. It could also withstand variations in temperature of between -40 and +40°C. Measuring 55mm across, 16.5mm high and weighing 183 grams, the Big Pilot's Watch 52 T.S.C. 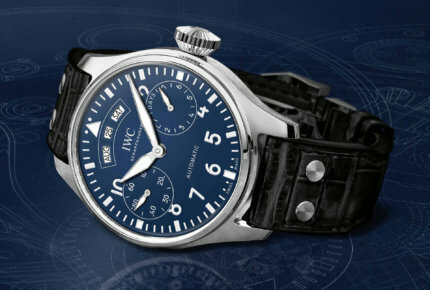 is the biggest watch ever made by IWC. Hot on the heels of this Special Pilot’s Watch, IWC lost no time in developing a model that would go down not just in the history of the brand, but in the history of pilot’s watches. 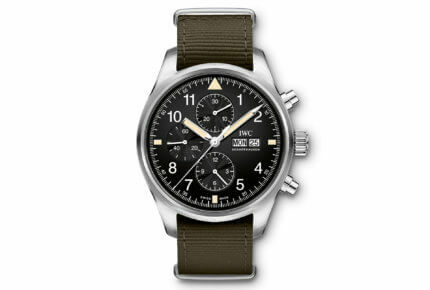 The Big Pilot’s Watch 52 T.S.C. came out of the Schaffhausen workshops in 1940; a thousand were produced, for the Luftwaffe. Measuring 55mm across, 16.5mm high and weighing 183 grams, this impressive timepiece with centre seconds is the biggest watch ever made by IWC. Its dial takes its cue from cockpit instruments of that time with, at 12 o’clock, the famous triangular marker that remains a characteristic of a classic IWC pilot’s watch to this day. The side of the case is home to the large conical crown, interpreted multiple times since and designed to be easily gripped, including by a pilot wearing gloves. Manufactured in 1948, the Mark XI was delivered in 1949 and issued to British pilots and Commonwealth armed forces. Carrying on this history, a new chapter began in 1949 which, once again, would preside over the creation of many contemporary models inspired by aviation. Responding to a request from the Royal Air Force in the late 1940s, IWC developed the now legendary Mark XI. Manufactured in 1948, it was delivered in 1949 and issued to British pilots and to Commonwealth armed forces. It remained in use right up until 1981. Calibre 89 marks time, protected from magnetic fields by an inner case in soft iron. This movement was the work of Albert Pellaton, then technical director of IWC who was also the inventor of a remarkably efficient bidirectional pawl-winding system that would become the Pellaton automatic winding system. Spanning the years between 1936 and 1949, these three pilot’s watches would lay the foundations for a long tradition in the field of aeronautics which IWC has reinterpreted many times since in multiple styles for men and, more recently, in smaller diameters to fit women’s wrists. In 1992, a double chronograph joined the collection. In 1998, the brand presented the Spitfire UTC with time- and date-setting by the crown, and which planted the seed for a complete Spitfire collection in 2003. A year earlier, in 2002, IWC revisited the Big Pilot’s Watch in a smaller, 46mm version whose automatic movement delivered seven days of power reserve. Five new models released in 2006 sported a revamped design. They included the “Saint-Exupéry” edition which IWC proposed to mark the 75th anniversary of the publication of Vol de Nuit (later translated as Night Flight), the pilot and author’s second novel. 2012 saw the launch of the Top Gun line, whose military credentials are reinforced by the use of black ceramic for the case. 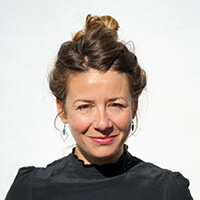 The following year was that of the first “Le Petit Prince” special editions, commemorating the 70th anniversary of Saint-Exupéry’s classic story. Last but not least, for its 150th anniversary in 2018, IWC presented another new version of its Big Pilot’s Watch, namely a limited-edition annual calendar. Currently, IWC divides its Pilot’s Watch collection into five distinct lines: Classic, Le Petit Prince, Antoine de Saint-Exupéry, Spitfire and Top Gun. And with the iconic Mark XI preparing to celebrate its 70th anniversary next year – the ideal opportunity to take the wraps of some new Pilot’s Watches – SIHH 2019 promises to be a high-flying edition for fans of vintage and aviation alike!